Veolia North America managed the operations and maintenance of a 5.3 MW combined heat and power (CHP) solution to meet the needs of a global biotechnology company’s world headquarters and research campus. 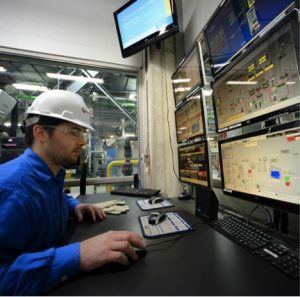 The plant received backup support from Veolia’s district steam system, and its construction was managed by Veolia’s energy consulting group, SourceOne. A global leader in the research and treatment of many autoimmune diseases, the organization needed to address the high cost and poor reliability of certain existing utility services. The campus’s thermal energy system was subject to a single point of failure. 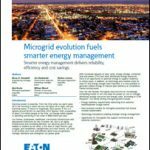 With this in mind, it engaged Veolia to operate and maintain a reliable solution that would support the consistency and long-term growth of this microgrid. Veolia was involved at all stages of the project, including feasibility and business plan development, equipment selection, negotiation for grid interconnection, fuel supply provisioning and environmental permitting. While providing commodity support services through SourceOne, they delivered ongoing operations and maintenance that included regular meter calibrations and steam repair. The plant received additional resilience through a steam line connection to Veolia’s district system. The CHP plant was able to comprise most of the biotechnology giant’s heat and electricity, serving seven buildings with electricity and six with high-pressure steam. Implementation of the project ultimately provided more reliable and cost-effective energy across the Cambridge campus. As a result, the company lowered its annual energy consumption by 25 percent and reduced its carbon emissions by approximately 36,000 metric tons per year. Read more about this Veolia CHP solution.